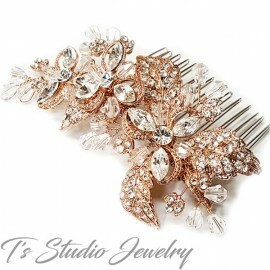 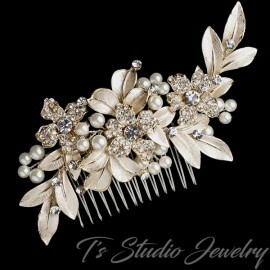 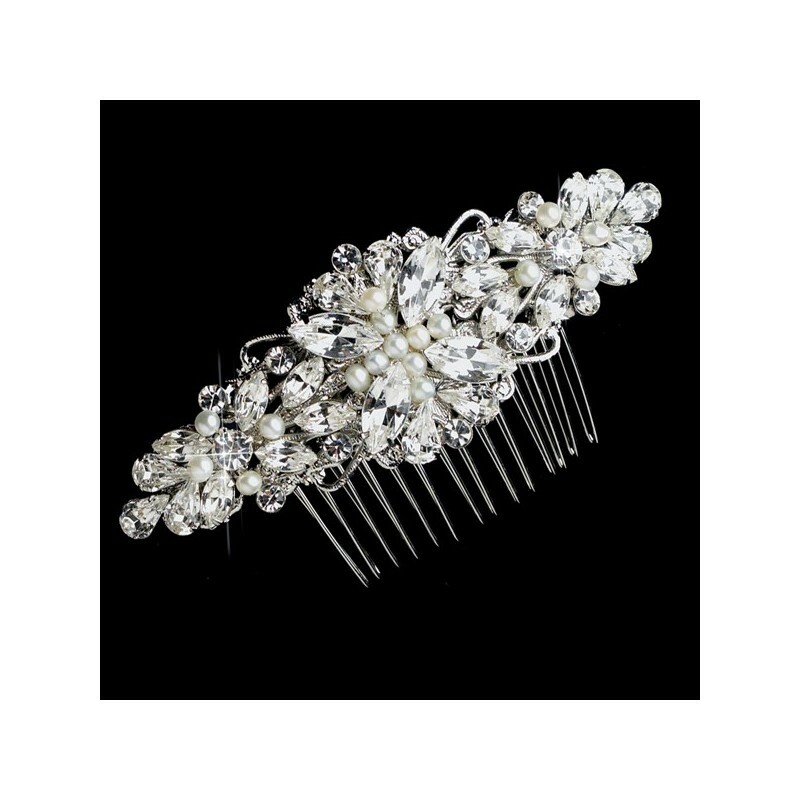 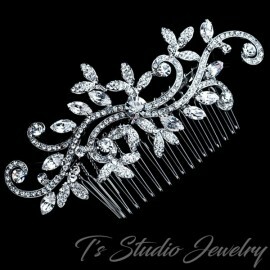 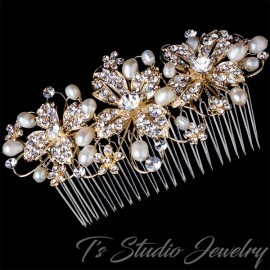 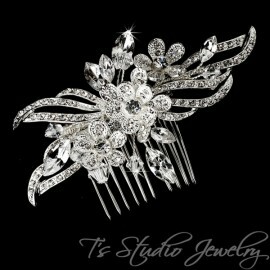 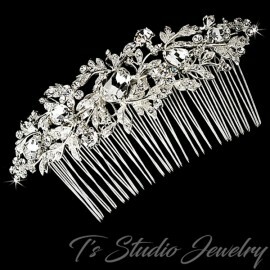 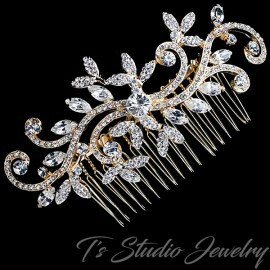 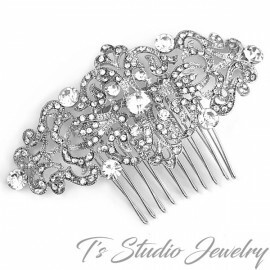 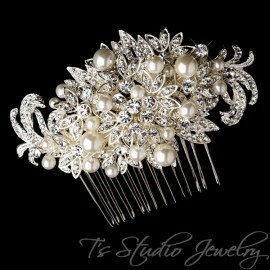 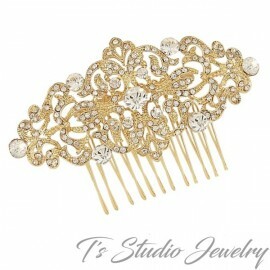 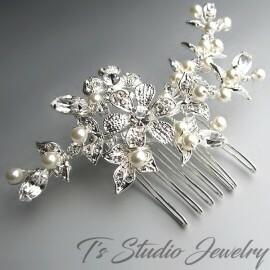 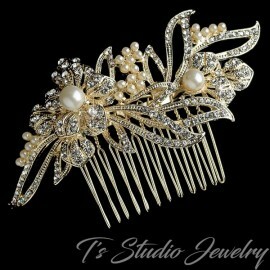 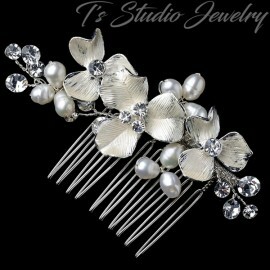 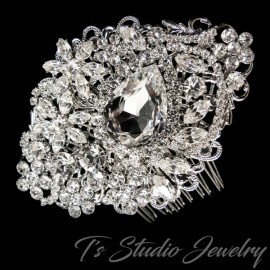 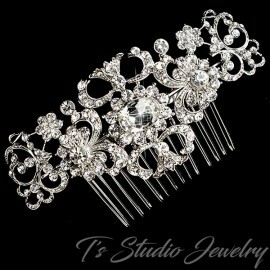 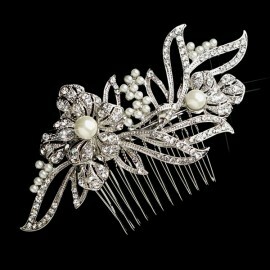 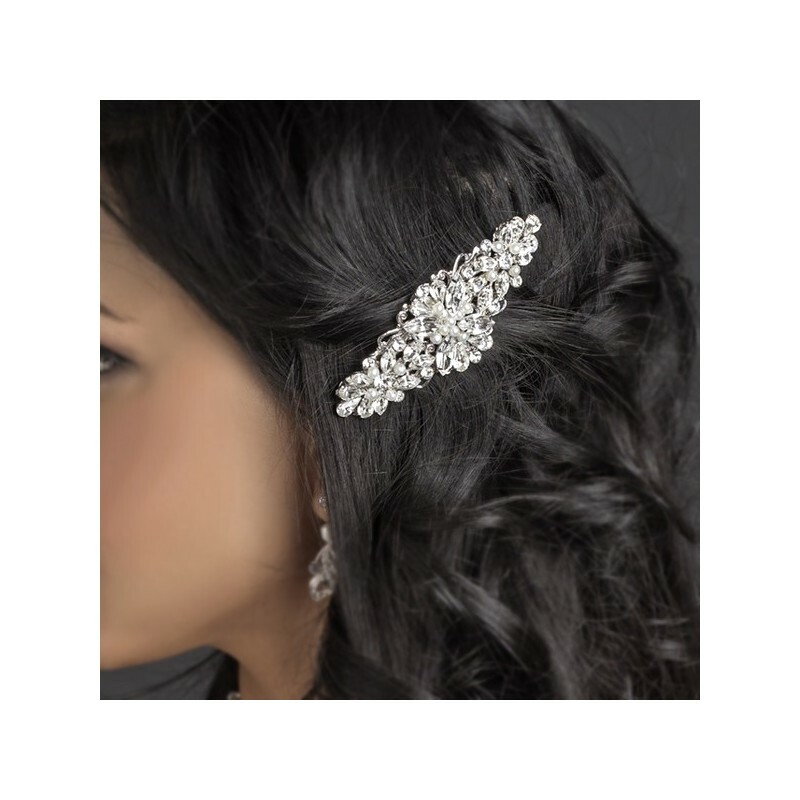 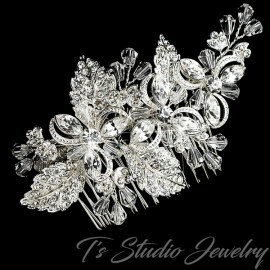 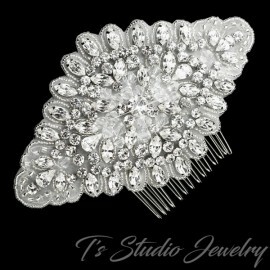 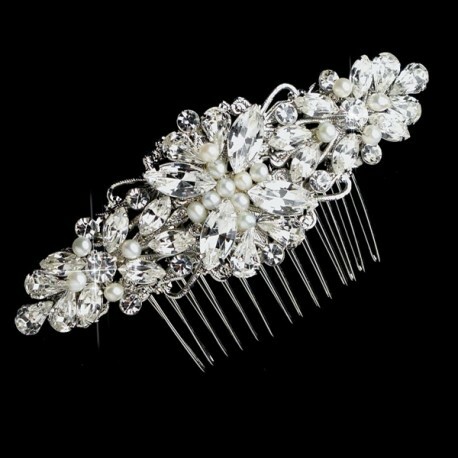 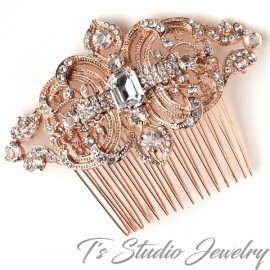 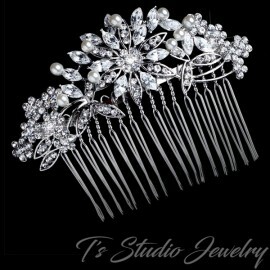 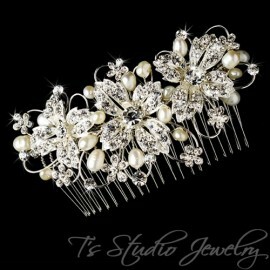 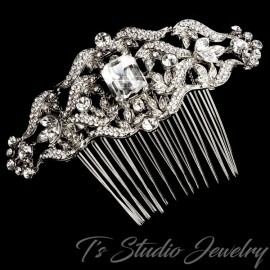 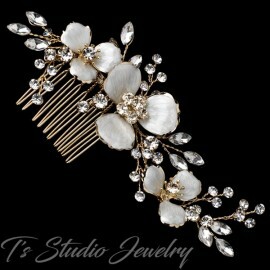 Adorn the side or back of any updo hairstyle with this vintage rhinestone and pearl hair comb! 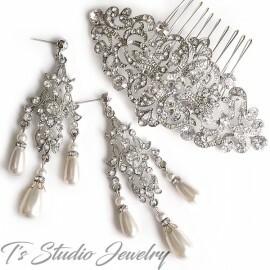 It features an antique silver plating that composes a floral like design covered with freshwater pearls and rhinestones in marquise, tear drop and round shape. 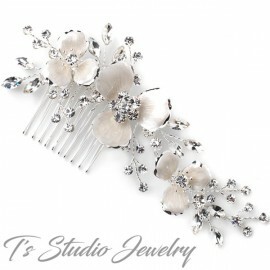 This beautiful comb will give your special occasion the perfect finishing touch!